Maintenance you need, when you need it. Confidence on the road means keeping your Buick, GMC running at its best. With the Buick, GMC Pre-Paid Maintenance plan for your Buick, GMC, there’s less guesswork with recommended service schedules. The Pre-Paid Maintenance Plus plan helps cover the cost associated with the recommended maintenance so you can help keep your Buick, GMC running strong. Purchasing a Buick, GMC Pre-Paid Maintenance Plan includes oil changes, tire rotations, and fluid top-offs. Purchasing the optional Buick, GMC Pre-Paid Maintenance Plus includes a set of manufacturer’s recommended maintenance. Such coverage may include air filters, cabin air filters, transmission and fluid changes, and spark plugs. 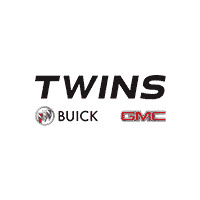 Buick, GMC Pre-Paid Maintenance and Buick, GMC Pre-Paid Maintenance Plus are available for your new, used, or leased Buick, GMC vehicle. If you decide to sell your covered vehicle, you can easily transfer your coverage to the new owner upon payment of any applicable transfer fee and completion of paperwork. You can also cancel your agreement at any time. If you cancel your agreement within the first 60 days and without any maintenance services redeemed, you will receive a full refund. If you cancel after 60 days or any maintenance services have been redeemed, you will receive a pro rata refund less any maintenance services redeemed and any applicable cancellation fee.